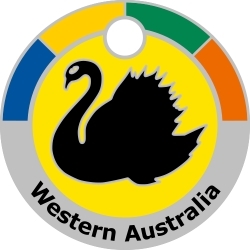 Number 8 in a set of 8 Australian State Badges to be released in 2018. 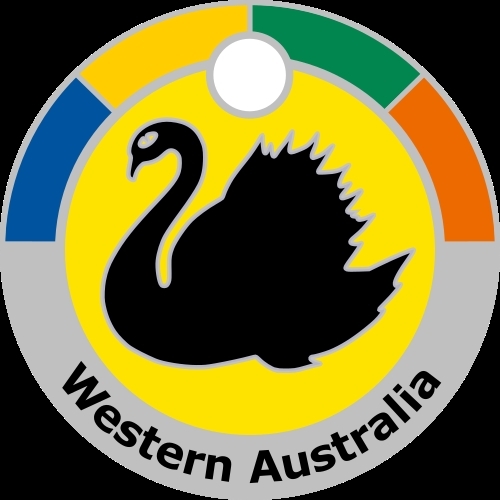 Featuring the state badge of Western Australia. The black swan recalls the origin of the colony as the Swan River Settlement. Adopted on 3 January 1870 by Governor Frederick Weld, the swan originally faced away from the hoist. The direction was changed on 10 November 1953. If the change of direction is ignored, then the Western Australian flag is the oldest state flag.